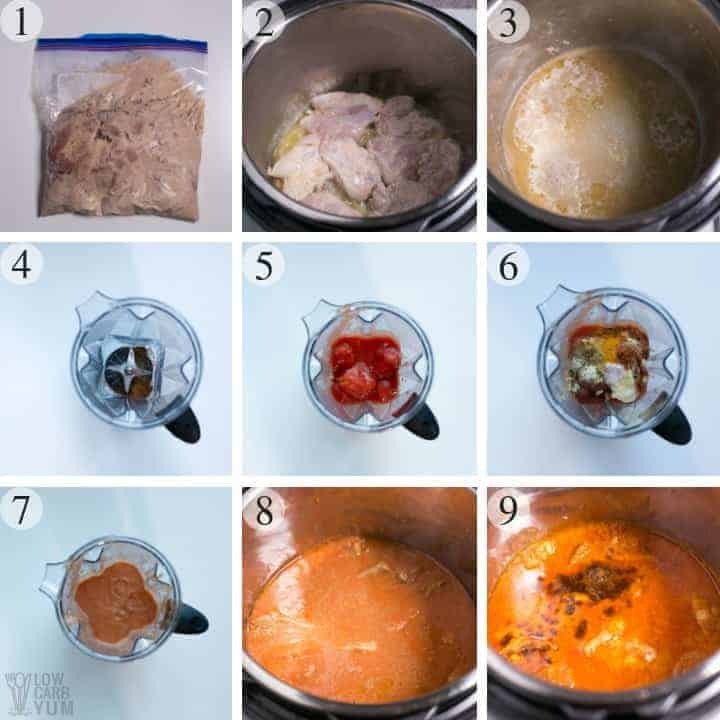 Try this Instant Pot butter chicken pressure cooker recipe for the most tender chicken ever. One taste and you’ll see why Indian Murgh Makhani is so popular. 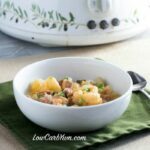 I’m a newbie when it comes to cooking in the Instant Pot electric pressure cooker. To learn how to use this popular appliance I started out with these simple recipes: Instant Pot spaghetti squash and no noodle lasagna. When it comes to pressure cooking, I’ve relied heavily on experts like Jill Selkowitz. 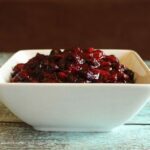 Jill is the founder of This Old Gal (TOG), a blog that’s full of Instant Pot recipes. In fact, I learned how to make low carb yogurt in the Instant Pot by using TOG’s method. These days, I use coconut milk and or coconut cream to make pressure cooker coconut yogurt as I’ve been avoiding A1 casein. So, it’s with great pleasure that I was given an advanced copy of This Old Gal’s Pressure Cooker Cookbook. 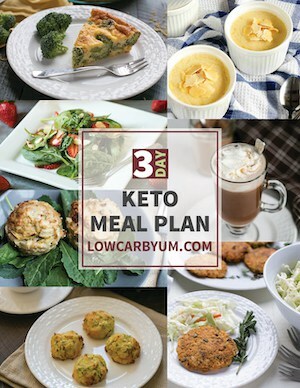 And although not all the recipes are low carb, many are and most others are easily adaptable. Since the cookbook is loaded with amazing recipes, I asked Jill which recipe she recommended I try first. Her recommendation was the Instant Pot butter chicken so that’s the one I’m sharing today. Surprisingly, I’ve never had this popular Indian dish. But I’ve seen recipes for it shared numerous times on social media so I’ve been wanting to give it a try. So it was definitely a great choice. When it comes to pressure cooking, there isn’t anyone I trust more than Jill Selkowitz. She’s been cooking with electric pressure cookers since 2004 which is long before it became a popular trend on food blogs. 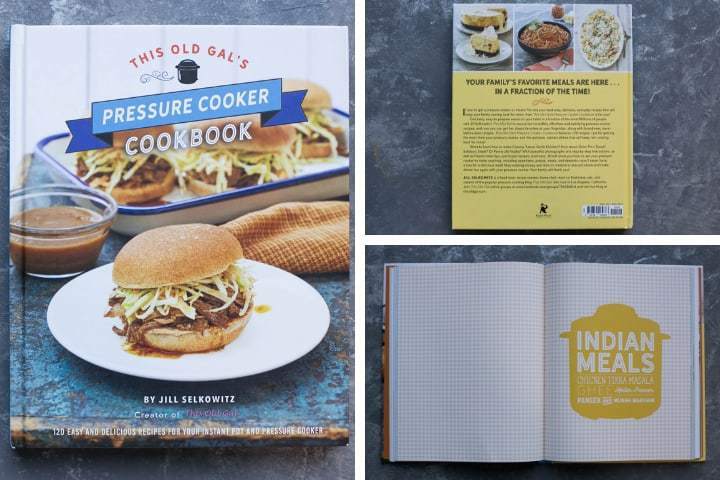 Jill’s much awaited pressure cooker cookbook officially releases on September 25, 2018. Inside the book, there’s 120 easy and delicious recipes to make in an Instant Pot or other electric pressure cooker. In addition to the Instant Pot butter chicken, a few of her other popular recipes such as Creamy Tuscan Garlic Chicken and Pressure Cooker Pot Roast are also included. But there’s also a ton of new recipes in the book that haven’t been published before. 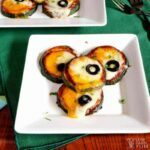 Some of the low carb recipes in the book that I’d like to try are her Brushetta Chicken with Zoodles and Ratatouille. And, I’d like to try her Mocha Latte Mousse recipe using sugar free chocolate chips. Within This Old Gal’s Pressure Cooker Cookbook you’ll find useful cooking tips and accessories for the the Instant Pot. There’s also a lot of TOG’s tips for many of the recipes which allow for variations. So if you want to learn how to maximize your electric pressure cooker, I definitely recommend getting TOG’s cookbook. It’s packed with easy recipes that even a beginner can master. 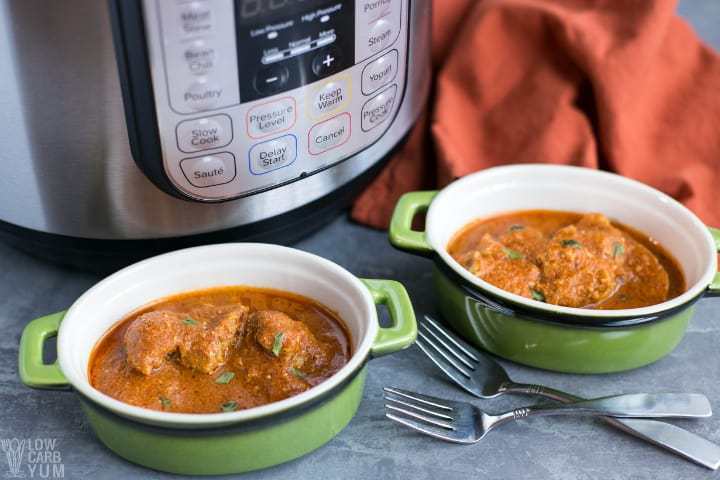 Today I want to share Jill’s Instant Pot butter chicken recipe. It’s one of the easiest recipes you can make in the electric pressure cooker. However, it does require marinating the chicken for at least an hour. Butter chicken or murgh makhani is a popular dish you’ll find in Indian restaurants. But there’s no need to eat out to enjoy this delicious dish. It’s super simple to make at home in the Instant Pot. To start the recipe, a blend of Greek yogurt, garlic/ginger paste, lime juice and garam masala are combined to make a marinade. The chicken thighs are then placed into the marinade (photo 1). I marinated mine overnight. After the chicken has marinated, it’s browned in some ghee on the sauté setting (photo 2). The chicken is removed from the pot and it’s deglazed with some chicken Instant Pot bone broth (photo 3). While the chicken is cooking, I went ahead and made the creamy tomato sauce. It’s just a blend of garam masala, whole tomatoes, raw cashews, butter (or ghee), garlic/ginger paste, salt, cumin, coriander, fenugreek, turmeric, cayeene pepper, and chili powder. The sauce whips up right in the blender. All you do is add all the sauce ingredients into a blender and pulse until smooth (photos 4-7). I used my handy Vitamix blender for this. To complete the recipe, you just add the chicken to the sauce (photo 8) and pressure cook for 3 minutes then do a natural pressure release for 10 minutes. A little more garam masala is then added after pressure cooking (photo 9). 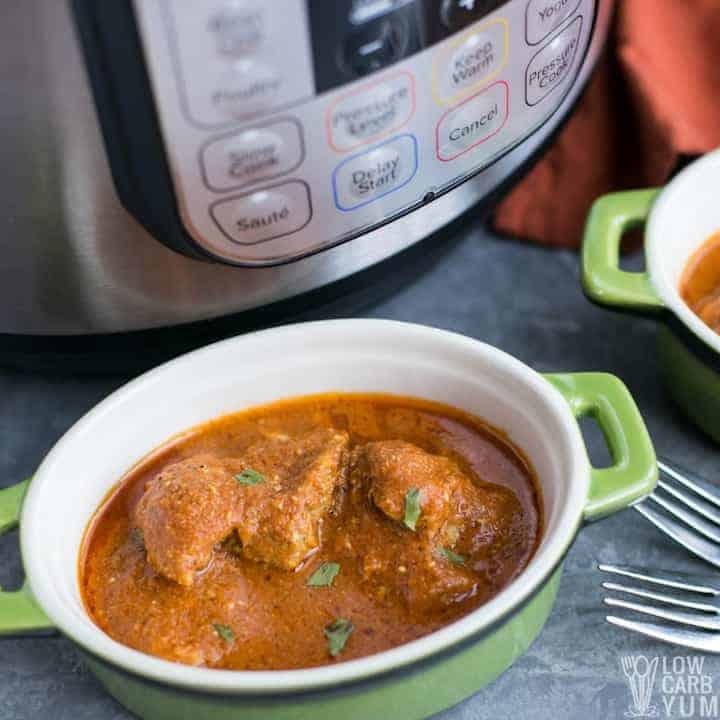 The electric pressure cooker is perfect for making Instant Pot Indian butter chicken. What I like best about the recipe is that you don’t need to babysit a pot cooking on the stove. And using an electric pressure cooker really simplifies the recipe. I also think that the meat comes out more flavorful and tender than if it were cooked on the stove. 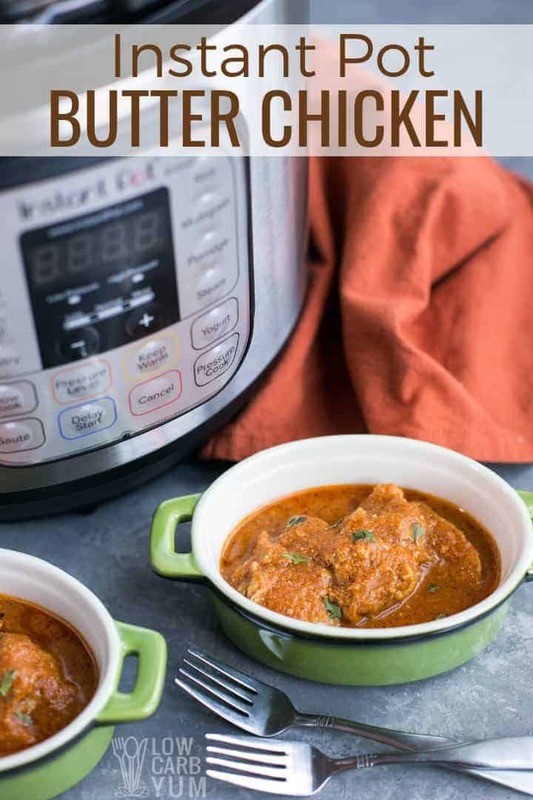 I encourage you to taste Jill’s Instant Pot butter chicken yourself. 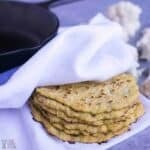 It’s so easy and delicious that it’s sure to become a regular on your menu. This is just one of the many electric pressure cooker recipes included in the TOG cookbook. And it’s one of the best foods I’ve made in my Instant Pot. If you have an Instant Pot, you are sure to enjoy this classic Indian dish using the pressure cooking method. It makes plenty of sauce so I recommending eating it over cauliflower rice which can be made quickly in the microwave in minutes. Or, serve it over zucchini noodle zoodles. And if you think all Indian food is too spicy, don’t worry. I didn’t find this pressure cooker butter chicken to be spicy hot. The spice blend was just right and not overpowering. And the chicken was so tender it practically melted in my mouth. 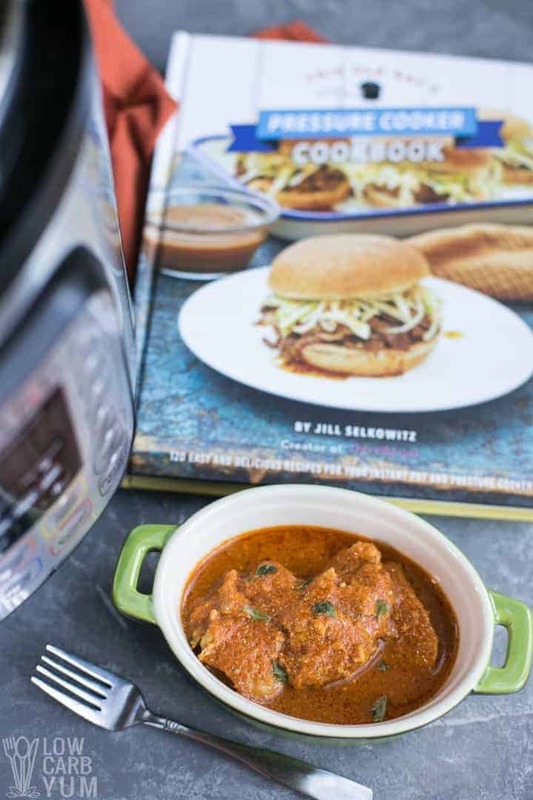 If you don’t want to wait for your copy of the Pressure Cooker Cookbook to arrive, you’ll find this Indian pressure cooker recipe at Jill’s This Old Gal food blog. 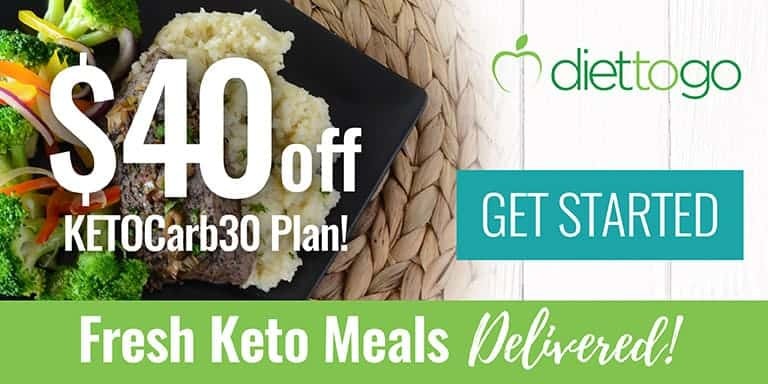 And while you’re there, be sure to check out all her other delicious low carb Instant Pot recipes.